The BigTower was designed for use with the A3000 and A4000. Both versions are the exact same model of tower with the only difference being the metal plate at the back of the tower which was different depending on whether an A3000 or A4000 was installed. The tower could easily be adapted to switch between machines. 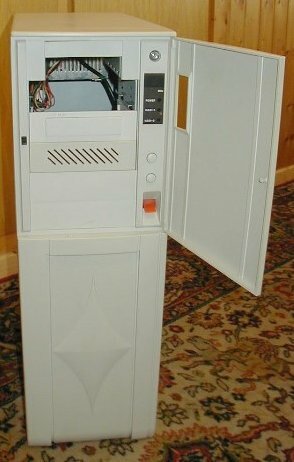 The tower was based on an IBM Server tower which was adapted for Amiga use. The plastic front bezel sported a 3D "gem stone" shape. 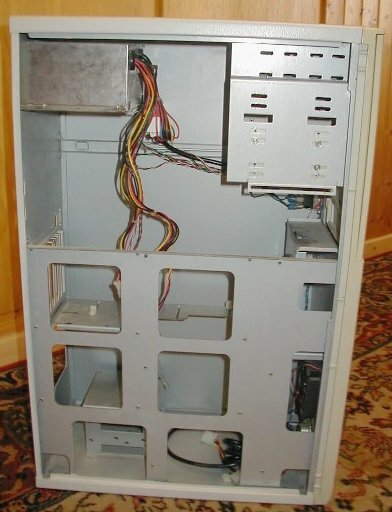 The upper half of the bezel was a door which covered 2 x 3.5" drive bays and 4 x 4.25" drive bays and also covered the power switch, a turbo switch and a reset button. The two lower 5.25" drive bays had no internal cage for holding any drives, however mounting brackets could be attached to hold the drives. When the door is closed, all that is revealed is a small display which shows the Mhz rating (goes up to 199), a power :ED and two hard disk LEDs, all behind shaded plexiglass. There was a deluxe version of the tower which featured wheels so the tower could be moved but was comparibly more expensive when compared to the "light" version. The tower also housed the orignal Zorro daughterboard for the A3000/A4000 which meant that the daughterboard protudes outwards at right angles from the motherboard (as opposed to many tower kits which use a custom built busboard which is angled parallel to the motherboard) and Zorro cards sloted in vertically. This could however be problematic with the aforementioned uncaged drive bays - if they were in use then cards could not be removed. This is perhaps why mounting brackets were used for the lower two drive bays as opposed to a cage, so that the drives could be removed easily if any Zorro cards needed to be removed. Unfortunately the mounting brackets were only held onto the case by one screw on either side, which meant that heavy or fast spinning devices might not be held secure enough. There are six backplanes on the tower, four of which are used with the Zorro cards with 2 spare backplanes that could be used with other expansion devices which perhaps required several backplanes like Multi I/O cards often do. 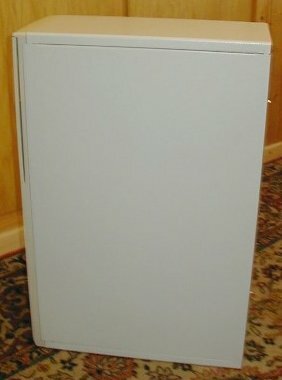 The tower had provision for two power supplies. 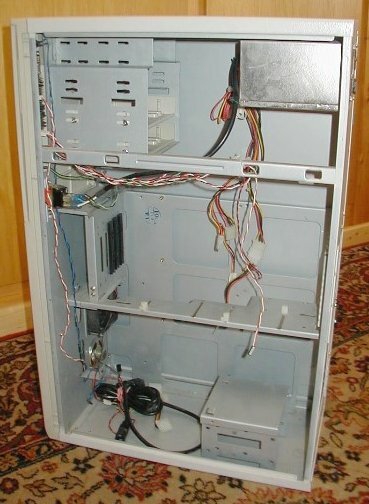 A standard PC power supply could be mounted near the top of the tower and the A4k power supply could be mounted near the bottom (possibly the A3000 power supply was mounted there too). The power switch had to be removed and substituted for the power switch on the front of the tower. Below the power supply there was room for 2 additional hard drives. The whole tower chassis is fully metal, including the sides which can be removed independantly of each other.